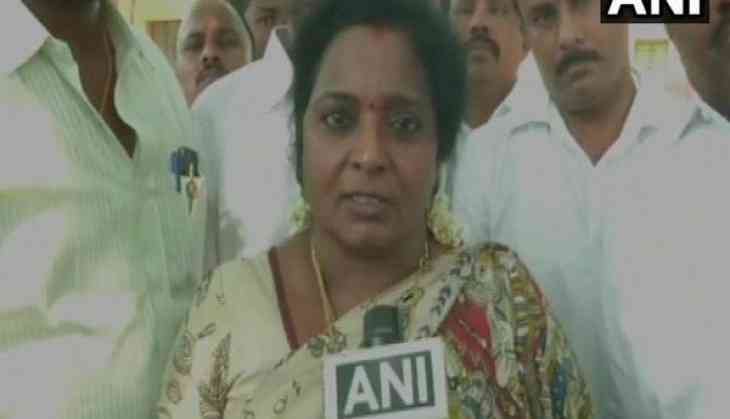 Bharatiya Janata Party state President Tamilisai Soundararajan has accused DMK president MK Stalin for creating tensed atmosphere in Tamil Nadu after a bomb was hurled at the car of BJP district secretary in the state. Talking to ANI, Soundarajan said, "The Rath Yatra entered everywhere peacefully, but it was due to MK Stalin's agitation that worsened the law and order situation." "The petrol bomb was thrown to murder our district President. The intensity of the fire was much more than what we saw in the photos. Political parties in Tamil Nadu want to blame BJP for everything," she added. A petrol bomb was allegedly hurled on the car of the BJP district secretary in Tamil Nadu's Coimbatore in the wee hours of March 21. This incident took place a day after the head of the statue of Dravidian movement icon, E.V. Ramasamy, popularly known as Periyar, was found severed in the state's Pudukottai village. Earlier on March 7, two petrol bombs were hurled in front of BJP's office in Coimbatore, a day after the party's leader H Raja commented that statues of late Dravidian leader Periyar must be removed from the public places in Tamil Nadu.